Food Active is a healthy weight campaign jointly commissioned by the Directors of Public Health in the North West and delivered by the Liverpool-based public health social enterprise, the Health Equalities Group. In 2005/6, Smokefree Liverpool helped to galvanise support for the smoke free legislation passed in the UK Parliament in February 2006. Can Food Active help to generate support for national policy and regulation – such as a duty on sugary drinks – in the same way? And what can be done locally to promote healthy weight? How can we ensure food is high on local authority agendas given the cuts in public sector budgets? The seminar will focus on the Food Active programme and its Give Up Loving Pop campaign. Robin Ireland is CEO of the Health Equalities Group (HEG) in Liverpool. HEG is a public health social enterprise, which includes the heart health charity Heart of Mersey, established in 2005.Robin gained his Master of Public Health from the University of Liverpool in 2007 and is now an Honorary Lecturer at the University. He worked as a consultant for WHO EURO between 2007 and 2013 in supporting the development of non- communicable disease policy. Robin was elected Member of the Faculty of Public Health through Distinction in 2015. He is a Board Member of Liverpool Food People, part of the Sustainable Food Cities Network. 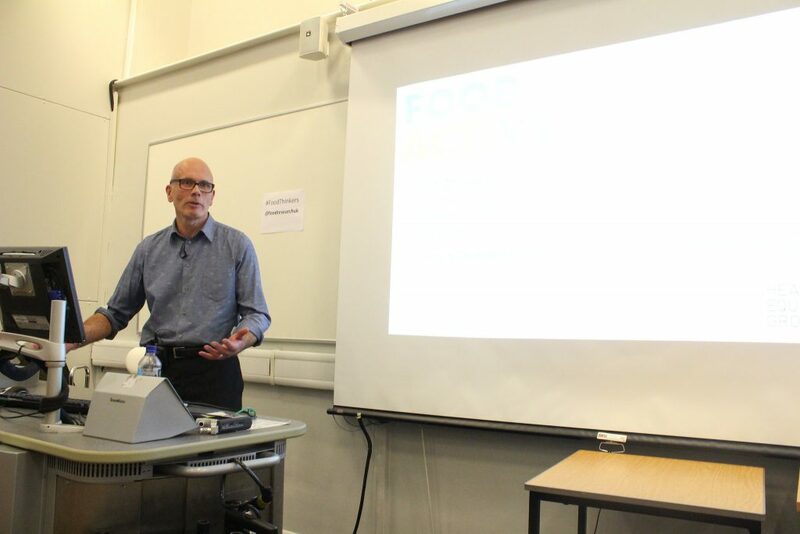 Robin also joined the FRC for a Food Bites to give us a snapshot snapshot of what the current issues in the food system are and what civil society organisations and academics could be doing to work towards solutions.